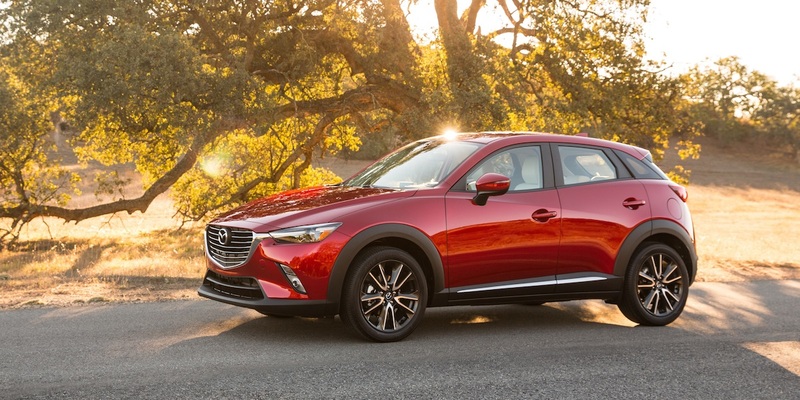 With its peppy engine, sleek styling, and agile driving personality, the CX-3 might be the sportiest of the new batch of subcompact SUVs—and its fuel economy and interior quality are also among the best in the class. 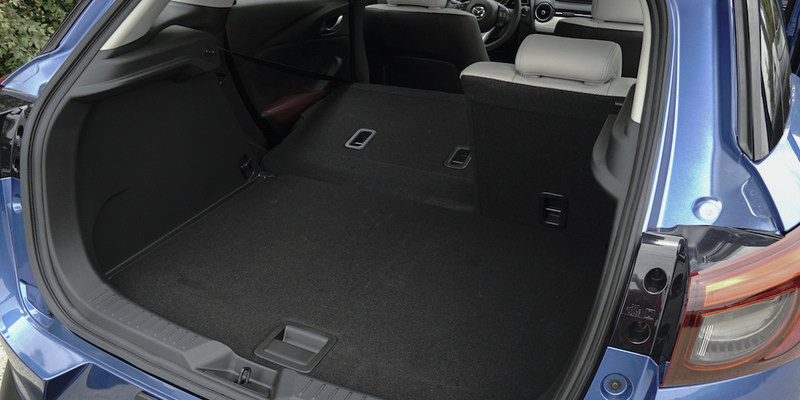 Swoopy styling is prioritized over rear-seat room and cargo room, and some infotainment functions are more complicated than they should be. The line-topping Grand Touring model includes a novel, class-exclusive feature: a heads-up instrument display that powers up out of the top of the dashboard. 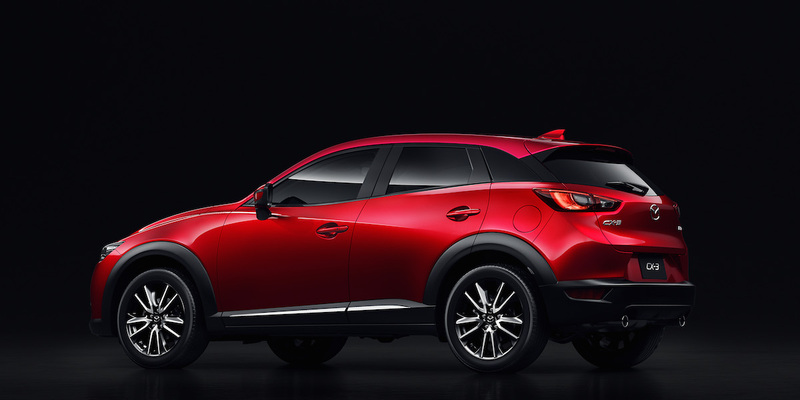 The CX-3 is Mazda’s new-for-2016 subcompact SUV; it slots below the compact CX-5 SUV in Mazda’s lineup. The sole powertrain is a 146-horsepower 2.0-liter 4-cylinder connected to a 6-speed automatic transmission. Trim levels ascend through base Sport, midline Touring, and top-dog Grand Touring models, all of which are available with front-wheel drive or all-wheel drive. Available features include keyless entry and starting, heated front seats, adaptive LED headlights, blind-spot monitor with rear cross-traffic alert, and 18-inch wheels in place of 16s. An i-Activsense package for Grand Touring models includes adaptive cruise control, lane-departure warning, and a forward-collision mitigation system with automatic braking. 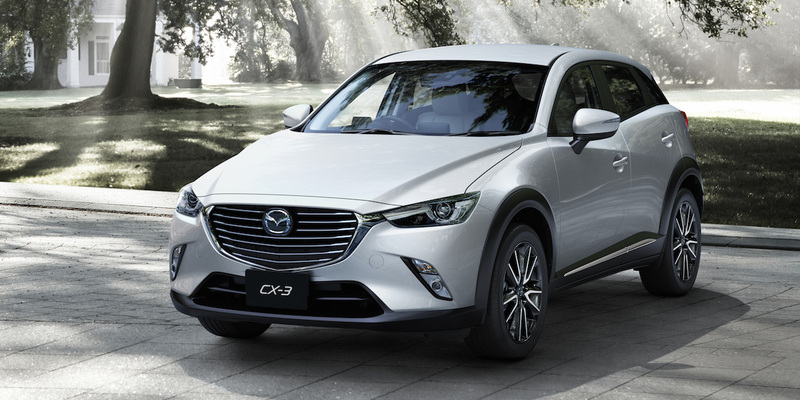 The CX-3 is an all-new model for 2016, though it shares its basic platform with the latest-generation Mazda 2 subcompact car (which is not offered in the U.S.) and its 2.0-liter powertrain with base-trim versions of the Mazda CX-5. The EPA rates the front-wheel-drive CX-3 at 29 mpg city/35 highway with front-wheel drive and 27/32 with all-wheel drive. In Consumer Guide® testing, an all-wheel-drive Touring averaged 30.4 mpg in a test that included 65-percent highway driving. The CX-3 seems tailor-made for subcompact-segment shoppers who crave the vigor and style of a sports car or high-performance hatchback but also want great fuel economy and the raised ride height, all-wheel-drive availability, and all-around versatility of a subcompact SUV. 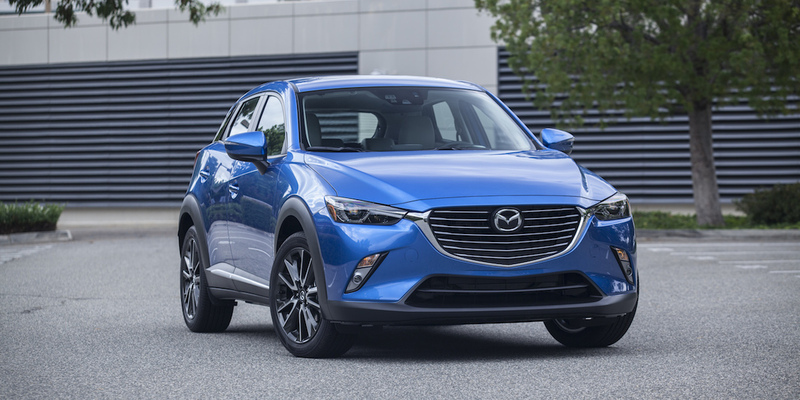 Though most of the CX-3’s competitors offer better interior volume within their similarly diminutive bodies, few can match this little Mazda’s blend of fuel economy, style, and driving fun.